A shirt style with normal collar and full sleeves gives you a semi formal look. 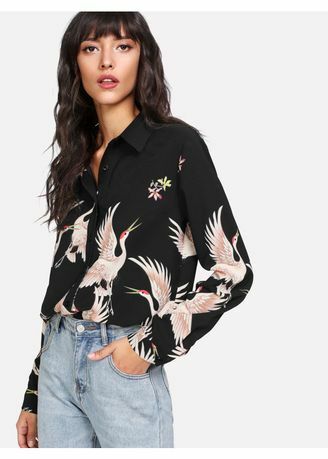 It has crane print all over it with buttons along the line. Pair it with your denims to get the perfect look.